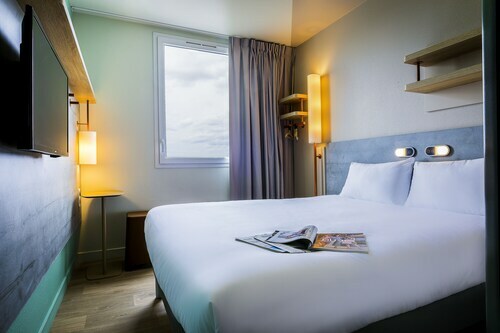 Situated near the airport, this hotel is within 3 mi (5 km) of National Tapestry Gallery, Oise Departmental Museum, and Saint Pierre Cathedral. Elispace and Beauvais Hospital are also within 6 mi (10 km). Situated in Villers-Saint-Paul, this hotel is within 9 mi (15 km) of Plaza Bowling, Chateau de Chantilly, and Apremont Golf Club. Chantilly Golf Club and Prince's Vegetable Garden are also within 9 mi (15 km). Villers-St-Paul Station is only a 2-minute walk and Les Pres-Roseaux Creil Station is 19 minutes. 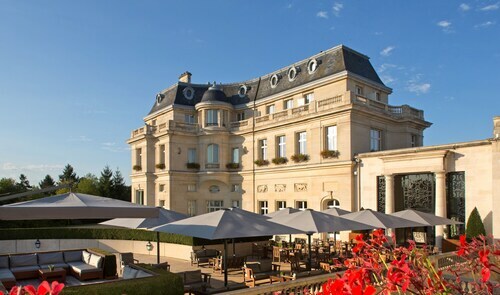 The Tiara Chateau Hotel Mont Royal occupies a 19th-century chateau in the forests of Chantilly, 50 kilometers from Paris; medieval Senlis is only 9 kilometers away. 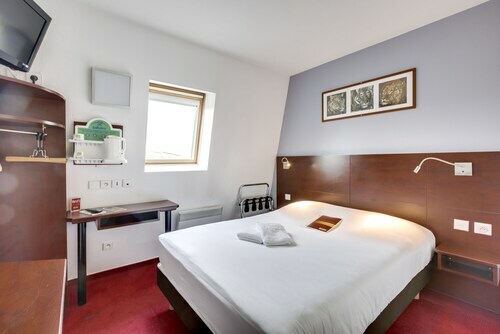 Situated near the airport, this hotel is within 3 mi (5 km) of National Tapestry Gallery, Saint Pierre Cathedral, and Oise Departmental Museum. Elispace and Beauvais Hospital are also within 6 mi (10 km). 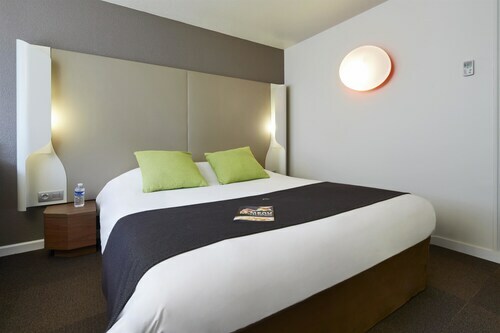 Situated in Beauvais, this hotel is within 3 mi (5 km) of National Tapestry Gallery, Oise Departmental Museum, and Saint Pierre Cathedral. Elispace and Beauvais Hospital are also within 6 mi (10 km). 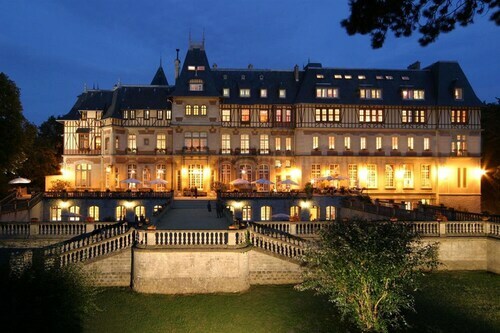 Situated near the airport, this hotel is 1.8 mi (2.8 km) from Chantilly Forest and within 6 mi (10 km) of Castle Pontarme and Apremont Golf Club. Parc Asterix and Chateau de Chantilly are also within 9 mi (15 km). 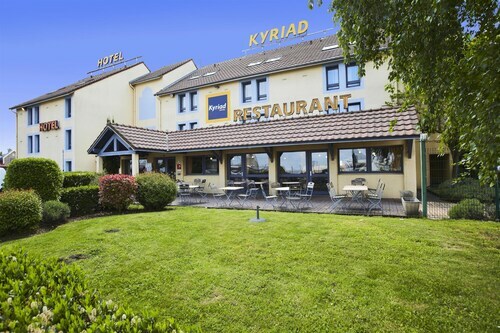 Located in Royallieu Village, this hotel is within 3 mi (5 km) of Musee de la Figurine Historique, Compiegne Hotel de Ville, and Compiegne Golf Club. Palais Nacional is 2.2 mi (3.6 km) away. 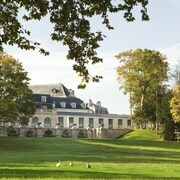 Situated in the historical district, this luxury hotel is within a 15-minute walk of Chantilly Forest and Chateau de Chantilly. Musee Vivant du Cheval and Prince's Vegetable Garden are also within 5 minutes. Chantilly-Gouvieux Station is 24 minutes by foot. 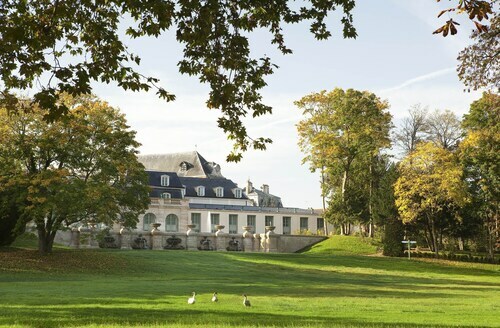 Situated in Senlis, this golf hotel is 1.8 mi (2.9 km) from Chantilly Forest and within 6 mi (10 km) of Castle Pontarme and Apremont Golf Club. Parc Asterix and Chateau de Chantilly are also within 9 mi (15 km). How Much is a Hotel Room in Oise? Hotels in Oise start at $35 per night. Prices and availability subject to change. Additional terms may apply. Pack your bags—it’s time to embark on a getaway. Whether you’re craving a solo retreat or promising your family a vacation to remember, book one of the best hotels in Oise. These hotels are located within easy access of the city’s hottest attractions and entertainment, so you won’t miss a beat while you’re in town. Spend the days exploring the local landmarks and the evenings getting to know the nightlife. After exploring the city from top to bottom, rest up at a hotel that speaks to you. Find the perfect place that matches your trip’s vibe, from a trendy boutique to family-friendly accommodations. Allow us here at Travelocity to pair you with up Oise hotels that suit your vacation preferences. Discover places with convenient on-site restaurants, around-the-clock service, and pools where your kids can make a splash. Some hotels may boast fitness rooms and spa services, while others feature game rooms and Wi-Fi access. To top it all off, you’ll score cheap hotels in Oise that let you spend more on your activities and less on your lodging. Book and bundle your flight and hotel deals together today and save up to $537. It’s time to explore a new city, and break out of your routine. Beautiful and quite location not to far from CDG airport. We arrived in the morning and stayed one night as we were flying out the next day to go to Nice, France. There is a sauna and indoor pool. Food was good. They have a nice walking trail. Grounds are beautiful. Good location. 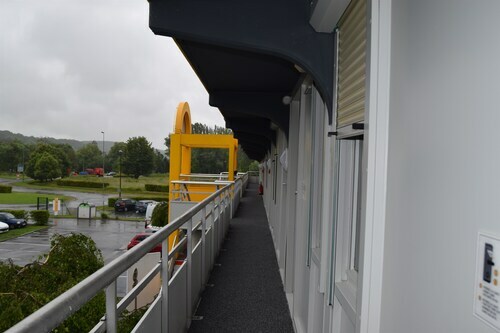 Hotel is modern, attractive and clean. Parking is available. Breakfast was good. Good for business leadership meeting, and for family visit. Staff was excellent. Meals were excellent.